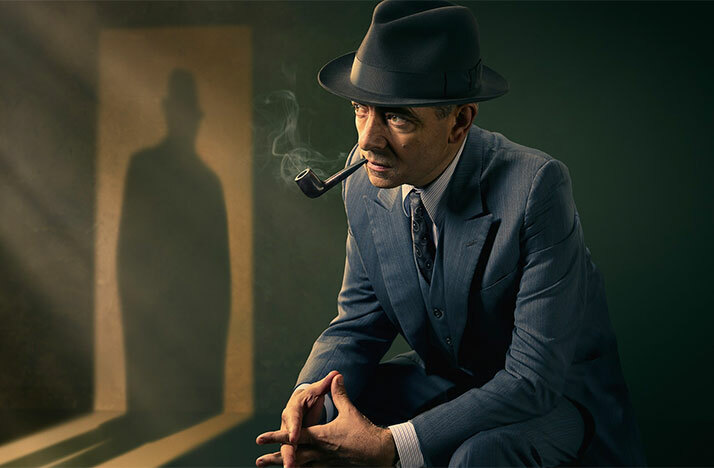 Globally renowned actor Rowan Atkinson stars as Georges Simenon’s legendary Detective Maigret in the four gripping crime stories set in 1950s Paris. A serial killer is stalking the streets. Five women are dead and people are afraid to go out after dark. The newspapers are rife with speculation. And Chief Superintendent Maigret is without a lead and under great pressure. Watch Sundays at 7:30pm on WOSU TV. It’s 1955, and Paris is enjoying a blisteringly hot summer… but it’s a city in the grip of fear. Four women have been murdered and Chief Inspector Maigret is under huge pressure to find the killer. Watch Preview. Maigret’s Dead Man focuses on the murder of a gambler with connections to a brutal gang from Czechoslovakia whose members are robbing and killing wealthy Parisians. Watch Preview. The murder investigation of a diamond dealer from Antwerp seems to point at one man – Carl Andersen, a Danish citizen living in the outskirts of Paris. But, despite all the evidence, Maigret lets him go, much to the annoyance of old friend and colleague Inspector Grandjean. So why was the body of a diamond merchant found at his isolated mansion? Why is his sister always shut away in her room? And why does everyone at Three Widows Crossroads have something to hide? Watch Preview. A stripper in Montmartre reports that she had last night overheard two men at her club planning to kill a countess. Her report is taken but as the crime has not happened not much attention is paid to her claims until a few hours later, when she is found in her room, strangled to death. And the next day the Countess, a drug addict, is found strangled. Maigret is bought in to find the link between the victims and bring the killer to justice. Watch Preview.